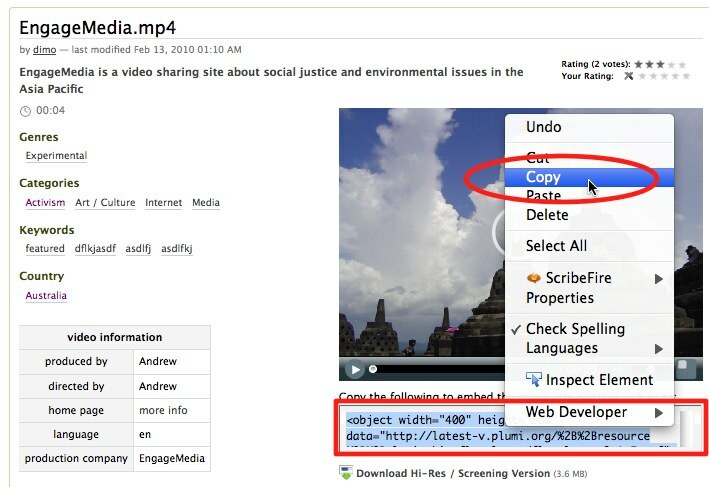 You can choose to embed a video from a Plumi website onto another website or blog. This means you are using the Plumi site and web server to make that video available, but you are showing it somewhere else. 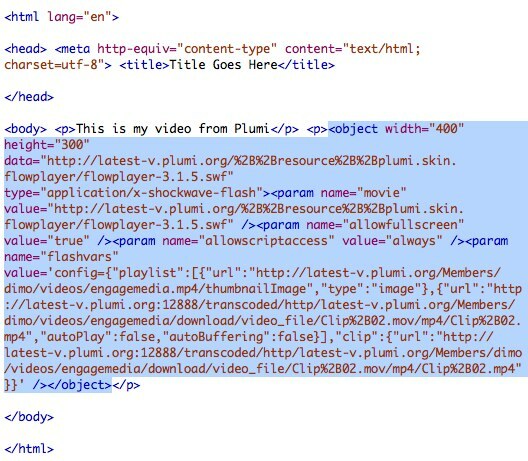 You first need to copy the embed/object code from the Plumi website, and then you need to enter it into your webpage or blog. Browse to the video you wish to embed. Copy all the text in the box below the Flash video player. Entering code into HTML webpage. Some people create their websites by writing HTML markup directly into an HTML document. For these users, just paste the HTML code into your web page. 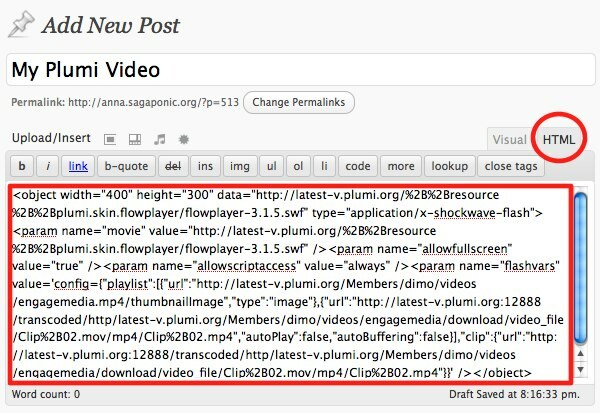 Some people create their websites using software on their computer to help create the HTML markup, such as iWeb or Dreamweaver. For these users you should "edit source" to edit the HTML directly. Enter the embed code between the body tags of your HTML document. Save the HTML document and upload to your server as usual. Some people create their websites using a web-application installed on the server, such as a Wordpress blog. Firstly you must be logged into your website's application as an administrator or content creator. When adding a new entry, toggle the user-interface to show the HTML code, rather than the visual display. Paste in the embed code. 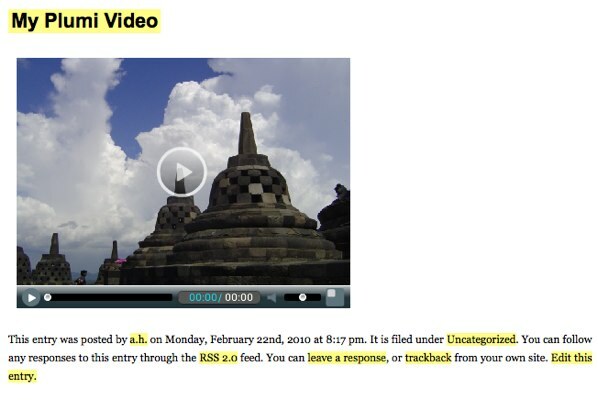 Your video should appear on the page when viewed. 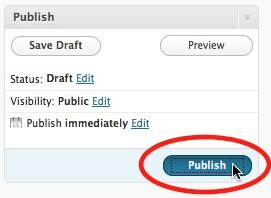 NOTE: Some blog software such as Wordpress will prevent users from adding embed or object tags into a blog post, as a security measure. Please consult the user manual for your web application if this is the case.